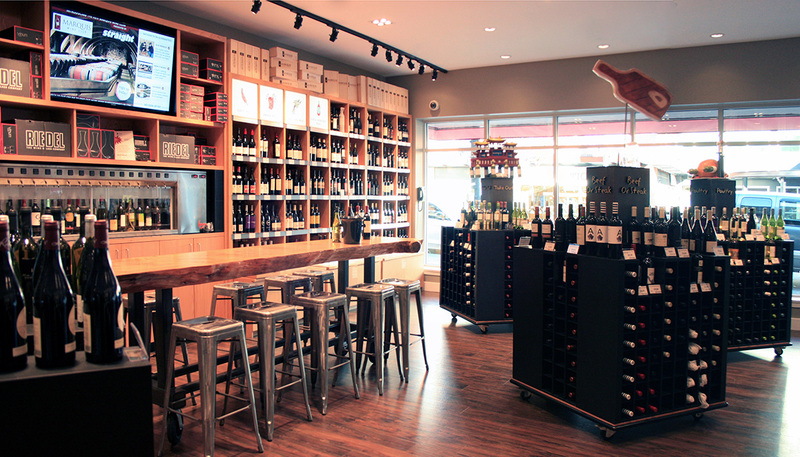 In order to allow this West End Wine store to expand its business in its current location, two existing commercial buildings were connected to form a larger single retail shop. Staff offices and a meeting room were added on a new second level. A complete renovation and restructuring of the buildings was undertaken, including upgrades to the mechanical, electrical and structural systems. The interiors were completely redesigned to reflect the new concept of the store. The redesigned store is located on Davie Street in the West End District of Vancouver. Davie Street is one of the busiest walking streets in the city and home to many vibrant businesses.